Isabel and Alfredo Aquilizan are finalists for The Sovereign Art Foundation‘s Sovereign Asian Art Prize. Held annually, the prize invites mid-career contemporary artists nominated by independent art experts from the region to enter— their work, “Settlement I” will be exhibited in Hong Kong for the final judgement in person. “Settlement I” continues some of the Aquilizans’ recurring ideas of journeys and diaspora, as well as their collaborative approach to art making and use of everyday materials. 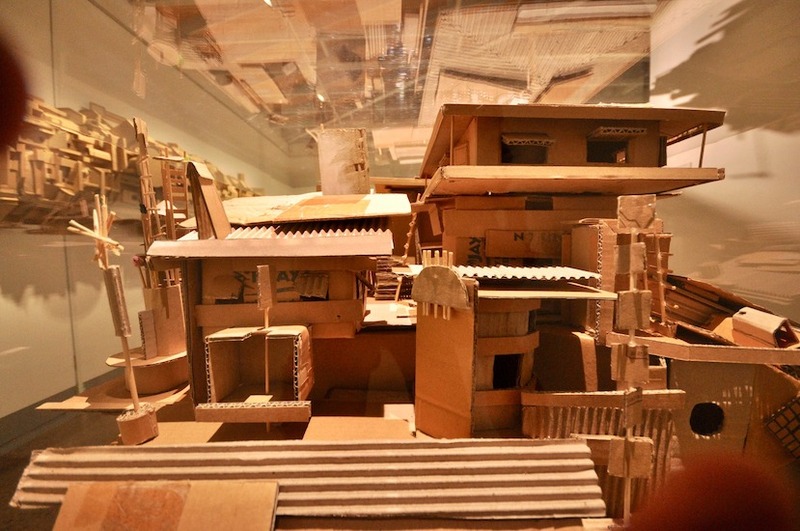 Cardboard, commonly used for transit packaging communicates always being on the move while the boat symbolises transcendence, hope and tragedy, referencing the widespread and ongoing migration of people from the Philippines. Read more about the prize and vote for their artwork here.